As it had been for centuries, a man’s status in 19th Century British Society rested in the land he held. Land was a symbol of wealth and social rank. Therefore, the need to pass one’s “wealth” to future generations increased with the amount of land owned. Land was “influence,” as well as affluence. To ensure one’s descendants received what had been incurred, a system known as primogeniture was put in place. Primogeniture meant that all the land in each generation’s possession was left to the eldest son in the family rather than being divided equally among off the offspring. Secondly, an entail assured that said “eldest son” could not mortgage or divide or sell said inheritance. It was to be held for his eldest son, etc., etc., etc. Primogenture developed during Norman times. The concept was by leaving the land to the eldest son, the estate would remain intact for future generations. It would also be economically capable of supporting a military force, which could assist the king. By the 19th Century, the King/Queen had other means to field a military presence, and social status became the basis of the practice. Customarily, primogenture was part of a gentleman’s will or deeds of settlement. This practice remained intact until 1925, when it was changed by law. The entail prevented a wastrel from selling off the family estate to pay his debts. 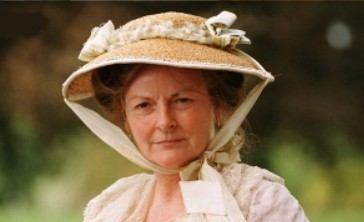 Do you recall Sir Walter Eliot in Jane Austen’s Persuasion. 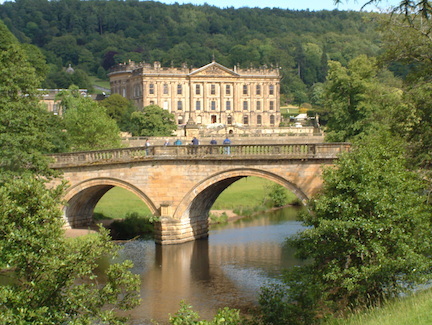 “There was only a small part of his estate that Sir Walter could dispose of; but had every acre been alienable, it would have made no difference. He had condescended to mortgage as far as he had the power, but he would never condescend to sell. No; he would never disgrace his name so far. The Kellynch estate should be transmitted whole and entire, as he had received it.” An entail was defined by a deed of settlement (or) a strict settlement. The heir normally received the land for his use ONLY in his lifetime. His rights ceased to exist upon his death. Originally, many attempted to entail their properties until the end of the world, so to speak. However, the law would not permit “infinity” to stand. In practice, an entailed property only remained so until the grandson of the land owner making the settlement became of age at 21 years. Then, the heir could sell or give away the property. So, theoretically, the entail only held the land through the first and second generation of land owners. However, a little coercion often secured the land for future generations. Most land owners (and their sons) held no other financial employment. If the property owner’s son wished to keep his “allowance,” he agreed to sign a new deed of settlement, which would assure the property remained in the family for another two generations, etc., etc. However, what if no males were born to inherit? A family line could end if a female remained single or even if she married. Single females had no children to inherit, and through married females, the property passed to someone outside the family. Such a “disaster” was part of the plot of Jane Austen’s Pride and Prejudice. 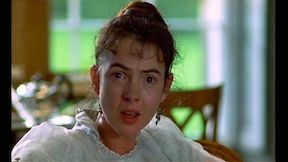 And Mrs. Bennet wishes Elizabeth to marry the odious Mr. Collins in order to save Longbourn. In his proposal, Mr. Collins explains why he assumes one of the Bennet sisters would accept him. This entry was posted in British history, Great Britain, Jane Austen, Living in the Regency, primogenture, real life tales, Regency era, Victorian era and tagged 19th Century England, inheritance, Jane Austen, Persuasion, Pride and Prejudice, primogenture, Regency. Bookmark the permalink.